Oculus Rift has a new owner, with social network Facebook unexpectedly agreeing to splash out a cool $2 billion on the virtual reality headset manufacturer. Minecraft creator Markus “Notch” Persson immediately cancelled plans to officially support Oculus Rift following Facebook’s announcement. Facebook won’t plonk down cash for the relatively young company, instead planning to hand over $400 million plus 23.1 million shares of Facebook stock, valued at $1.6 billion. A further $300 million in cash and stock may be paid out if Oculus Rift meets certain milestones. Oculus will maintain its headquarters in Irvine, California, and will continue development of the Oculus Rift headset as an independent division of Facebook. The transaction is expected to close in the second quarter of 2014, and is a “definitive agreement”. “Mobile is the platform of today, and now we’re also getting ready for the platforms of tomorrow. Oculus has chance to create the most social platform ever, and change the way we work, play and communicate,” Facebook founder and CEO Mark Zuckerburg said of the deal. “We are excited to work with Mark and the Facebook team to deliver the very best virtual reality platform in the world. We believe virtual reality will be heavily defined by social experiences that connect people in magical, new ways,” Oculus VR CEO Brendan Iribe said. In a press release announcing the deal, Facebook acknowledged VR is still “nascent”, but said that it plans “to extend Oculus’ existing advantage in gaming to new verticals, including communications, media and entertainment, education and other areas”. “Given these broad potential applications, virtual reality technology is a strong candidate to emerge as the next social and communications platform,” it added. Zuckerburg discussed the deal in an open letter. “Our mission is to make the world more open and connected. For the past few years, this has mostly meant building mobile apps that help you share with the people you care about. We have a lot more to do on mobile, but at this point we feel we’re in a position where we can start focusing on what platforms will come next to enable even more useful, entertaining and personal experiences,” he wrote. 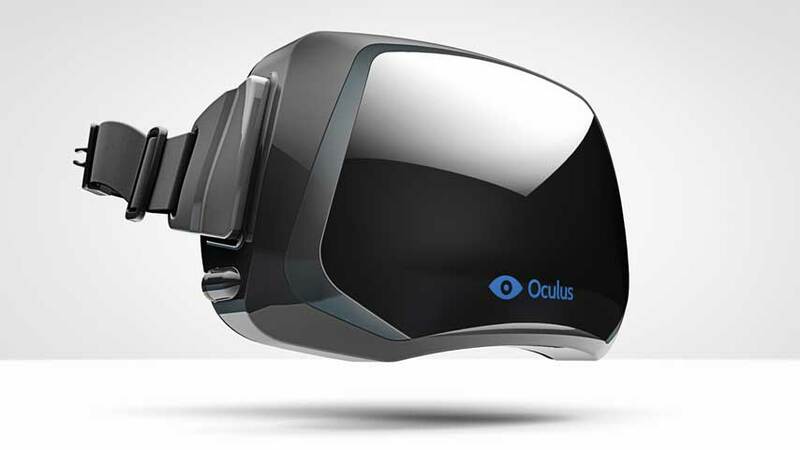 Gaming is just the start of Oculus Rift’s potential, Zuckerburg said. “We’re going to focus on helping Oculus build out their product and develop partnerships to support more games. Oculus will continue operating independently within Facebook to achieve this,” he added. Oculus co-founder Palmer Luckey also published an open letter. “When Facebook first approached us about partnering, I was skeptical. As I learned more about the company and its vision and spoke with Mark, the partnership not only made sense, but became the clear and obvious path to delivering virtual reality to everyone,” Luckey wrote. The partnership “accelerates” Oculus VR’s vision, Luckey said, allowing it “to execute on some of our most creative ideas and take risks that were otherwise impossible”. “Most importantly, it means a better Oculus Rift with fewer compromises even faster than we anticipated,” he added. Oculus Rift initially came to attention via a high-profile and very successful Kickstarter campaign. It later went on to attract multiple big rounds of funding, nabbing $16 million in May 2013 and a further $75 million in December 2013, intended to help push the long-awaited consumer model out the door. At present the headset only supports PC, but Android support is expected at the very least. The company has attracted some major industry players, including legendary id Software tech guru John Carmack, who apparently parted ways with the DOOM developer he helped found over Zenimax’s reluctance to embrace VR, and former EA senior vice president David DeMartini. Multiple projects, ranging from small indies to triple- titles, are on board, including but not limited to EVE Valkyrie, Hawken, Strike Suit Zero, Half-life 2 and Team Fortress 2. As well as establishing a publishing arm, Oculus had plans to develop games in-house. The news follows on from Sony’s bid to enter the VR space with Project Morpheus, which was announced at GDC, and was hailed by some commentators as the beginning of VR’s mainstream validity. Valve has also been experimenting in the space, apparently to great success.